Posted on November 24, 2016 at 10:29 am. Three Australia Crown staff are among those who are facing at least the next six months in a Chinese jail. The Crown staff have been officially charged. Following the overnight raids last month where 18 of James Packer’s Crown staff were detained for “gambling related crimes”, one detained employee, who worked in administration for Crown in Shanghai, was released on bail on November 10. The remaining 17 will spend the next six months behind bars in a Chinese prison while the police prepare their case, with any chance of negotiations for an early release expiring as a result. The three Australians include Vice President of Crown’s VIP International division, Jason O’Connor, who was detained along with the rest of the group allegedly due to their involvement in targeting Chinese VIP players. Australia’s Foreign Minister Julie Bishop commented on the formal arrests on Wednesday to Sky News, noting consular officers have visited the Australians who are reportedly in good health. “There is… an overall anti-corruption agenda of (Chinese) President Xi Jinping and gambling is one of the areas of interest to them,” she said. 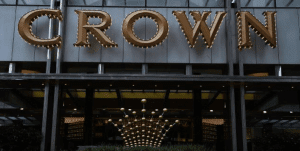 The arrests comes after Crown Resorts revealed at their annual meeting on October 20, only a quarter of the revenue was generated from International VIP players and just 12% was from VIP Chinese visitors in 2016. While Crown were warned about the gambling crackdown, the group targeted mainland China players and ended up being the target of China’s Public Security Bureau (PSB) “Operation Chain Break”. Deputy Bureau Chief of the PSB, Hua Jingfeng, said the crackdown will come down hard on anyone targeting Chinese citizens. “A fair number of neighbouring countries have casinos, and they have set up offices in China to attract and drum up interest from Chinese citizens to go abroad and gamble,” he said. The percentage regarding the revenue accrued by Chinese international VIP players revealed at the Australian Crown Resorts annual meeting could just be the motivation behind the group’s activities in China. The recent crackdown on Macau for the same issue has seen Crown hone in on the market and could potentially be due to the desire to increase revenue from international players. Unfortunately, the group has paid the price. Readers from United States will be happy to know top-rated online casino sites such as Raging Bull Casino avoid all this drama with stringent auditing and world-class regulation in gaming jurisdictions and from reputable organisations such as the Malta Gaming Authority and the United Kingdom Gambling Commission.